Well let’s make sure you’re a King or Queen for that matter that gets a healthy kick start to the morning with breakfasts that are high in protein and fibre, gluten free, full of essential fatty acids, low GI and alkalising. In other words they will help get your bowels going, avoid common food intolerances, get your skin glowing, keep your mind positive and alert, protect you against disease and ailments, and give you balanced energy throughout the morning to prevent sugar or caffeine cravings so you can say no to elevenses. Can’t I just buy those instant microwaveable oats and aren’t all oats gluten free? Well commericial supermarket oats are contaminated with gluten from wheat, rye and barley during transportation and eating gluten repeatedly can lead to a food intolerance. On top of that microwaving your food quantitively reduces the nutrient content and as your body cannot metabolise the radiolytic byproducts created in your microwave. So hunt down some gluten free oats and enjoy a grain that is high in protein and contains soluble fibre to keep you feeling fuller for longer. These little helpers also remove cholesterol from your digestive tract and arteries and strengthen your cardiac muscles and it’s silicon content renews your bones and connective tissues keeping you strong and flexible. 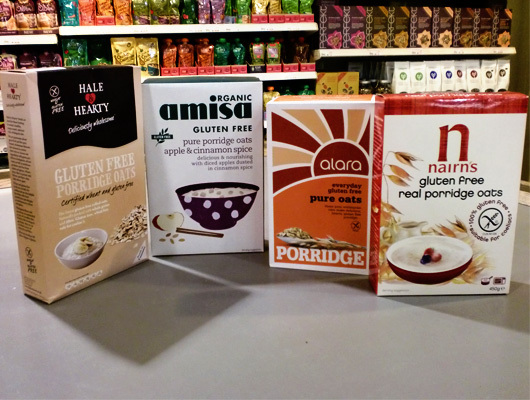 Soak gluten free oats with one or two tablespoons of Chia seeds in water, hemp, coconut or rice milk overnight. Chia seeds contain the highest vegetarian source of Omega 3 which is essential for healthy mind and skin and these little black seeds are the most efficient intestinal broom. For those of you that refuse to give up the dairy I recommend grass fed raw organic buffalo milk, available at farmers markets, as it does not contain the A2 beta protein that is the cause of milk allergy in many people. Be sure to soak your oats overnight to reduce its phytic acid content that prevents absoprtion of zinc and iron. These minerals are essential for your immune system, healthy skin, hair and energy. 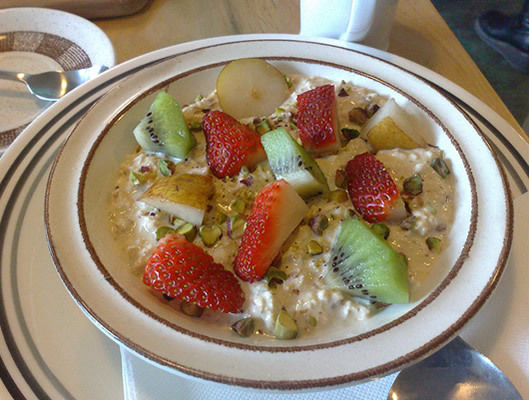 So preparing your muesli the night before not only saves on time but keeps your minerals in tact. In the morning add some alkalsing, low GI fruits such as fresh berries- blueberries, strawberries, chopped apple, pear or peach. Technically buckwheat isn’t a grain but is actually a fruit seed related to rhubarb and sorrel and is naturally gluten free. Buckwheat is a great source for your manganese and magnesium as well as protein as it contains all nine amino acids, including lysine which plays an important role in the formation of carnitine so you can convert fatty acids into leaps and bounds of energy for the day. Rutin is a biflavonoid that is high in buckwheat and helps reduce your blood pressure, increase your circulation to keep hands and feet warm and toasty, prevent you bruising of bleeding easily and even help to protect you during x-rays and other forms of radiation such as air travel. Savoury buckwheat crepes have long been popular in Northern France, Brittany and in Russia. 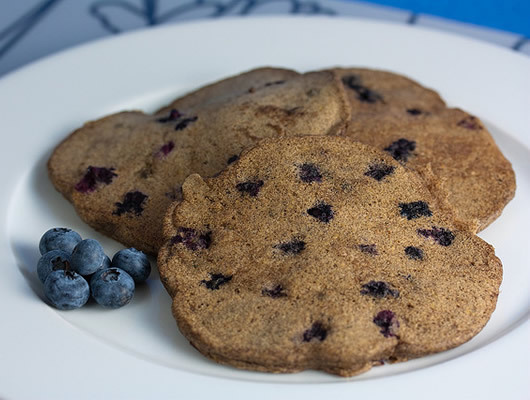 For a nutty pancake, mix buckwheat flour, organic eggs and some cinnamon. Top your pancake with a little manuka or raw honey if desired and flaked almonds, crushed walnuts, pecans or hazelnuts for added protein and crunch. Ensure your eggs are organic so you get a much needed dose of Vitamin D and do note that overeating eggs can lead to constipation as they are binding so only have them once or twice a week. What better way to start the day than with 2 of the ultimate super pseudo grains! 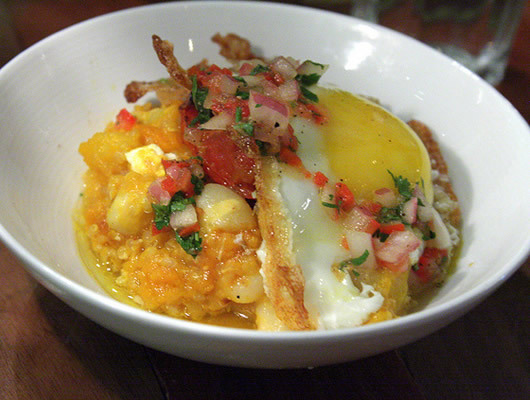 Quinoa pronounced ‘keen wah’ was one of the ancient staple foods of the Incas. It was called the ‘mother grain’ or the ‘Gold of the Incas’, in Peru. It is high in calcium and has the highest protein content, alongside amaranth, of any grain or pseudo-grain containing all nine essential amino acids. Like buckwheat, technically it is not a grain as quinoa is a seed of the Chenopodium or Goosefoot plant and is a great source of phosphorus, vitamin E, pholate and magnesium. Yet another seed in disguise, Amaranth means ‘everlasting’ in Greek and was a valuable food to the ancient Aztecs. It contains more magnesium, iron and fibre than any other gluten free grain as well as being high in calcium, silicon and vitamin E. The primary proteins in amaranth are ‘albumins’ and globulins’ which are highly digestable and this seed can help dry out damp conditions in your body such as candida overgrowth, as well as benefit your lungs. Drizzle on coconut or hemp milk to cooked quinoa and amaranth and stir in apple or pear puree and a sprinkling of cinnamon and sunflower seeds. Try it savoury with a little marigold yeast free seasoning, fresh parsley, an organic egg and a sprinkle of nori seaweed flakes to top up your minerals. Avocadoes will open your eyes to the long day ahead as they contain more Lutein than any other commonly consumed fruit, to protect you from macular degeneration and cataracts. Our green friend is high in folate, vitamin E, monounsaturated fats and glutathione to protect you against strokes, heart disease and cancer and like olive oil is high in oleic acid to keep breast cancer well away. Avocados are a natural source of lecithin and this brain food improves your learning and reaction time, as well helping to relieve arthritis. 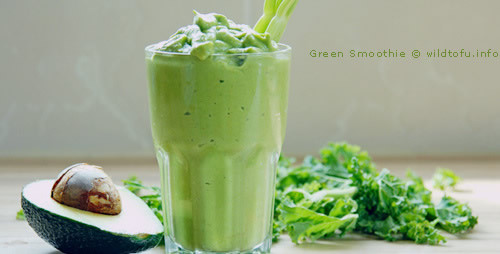 For a low GI breakfast and a dairy free alternative to yoghurt, simply blend an avocado with hemp milk or home made almond or hazelnut milk (shop bought almond and hazelnut milk often has added sweeteners that you don’t need). Sprinkle on top some crushed nuts or seeds such as hazelnuts, walnuts, brazil nuts and seeds (pumpkin and sunflower) for added protein and Omegas 3 and 6. 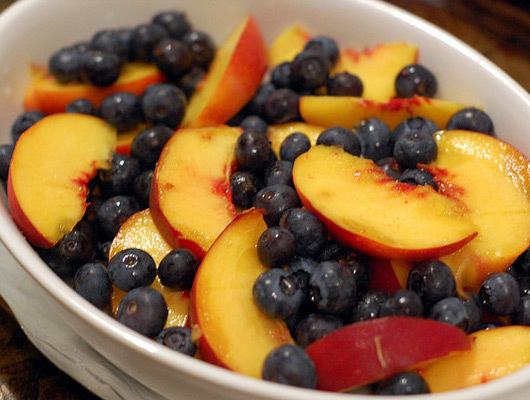 Add a handful of low GI fruits such as berries or chopped apple/pear/peach if desired. Hemp protein is free from all the artificial sweeteners and colourings of commercial whey protein powders heavily promoted to you gym bunnies and body builders. But what’s natural about the illuminous pink drink you’ve just shaken up? That might be better poured into a glow stick rather than into your digestive system. Alternatively 65% of hemp seed protein comes from the globular protein edestrin, which is easily digested, absorbed and utlised by the human body as well as being hypoallergenic as it is naturally soy free, gluten free and dairy free. It is a complete protein, meaning it contains all of the essential amino acids. This nutty flavoured seed is high in omega 3+6 . Omega 3 converts EPA to DHA which is essential for you to maintain a healthy heart, arteries, brain, joints and eyes. Hemp seed also contains GLA to balance your hormones and reduce PMS in women and reduce LDL cholesterol and high blood pressure. 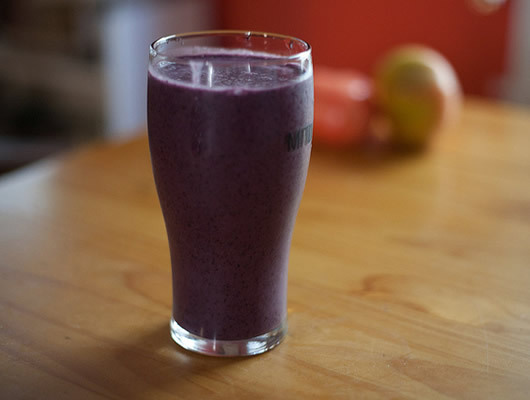 Blend hemp protein powder with water, hemp/coconut/rice milk and a handful of berries or a soft peach or pear. For a green smoothie blend hemp protein powder with avocado, chlorella powder and hemp/coconut/rice milk/coconut water. Sardines for breakfast? Why not? Breakfast can be savoury and sardines are a brilliant source of protein. Sardines are named after the meditteranean island of Sardinia and sardines and pichards are actually the same fish but sardines are below 15cm. They are high in Omega 3 which most of us are deficient in and Omega 3 keeps your waist slim and trim. Sardines are sustainable! If we want to keep on enjoying the benefits of oily fish it’s important that we avoid eating species that are under pressure such as plaice, monkfish and atlantic salmon. For a full list of seafood to avoid eating see this list by greenpeace. Sardines are all low in mercury! Mercury is the main hazard when it comes to eating seafood. The phrase ‘mad as a hatter’ comes from the slurred speech and tremors experienced by the hat makers exposure to mercury in the 1830s. Today this highly toxic metal can continue to plague us if we have mercury fillings or eat seafood high in mercury. As mercury is present in lakes, oceans and streams and as mercury accumulates in fish tissue, when a big fish eats a smaller fish, the bigger fish will accumulate more mercury. So stick with small fish such as sardines and avoid tuna and swordfish. 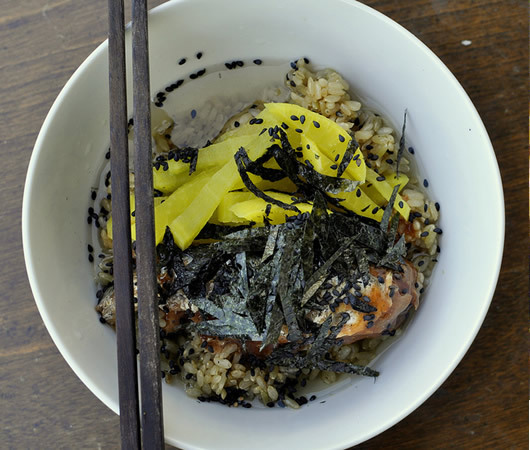 A great breakfast idea is the japanese dish called ochazuke which you can make using left over brown rice, green tea and top with seaweed such as nori and wakame for added minerals and you can use sardines as the protein. For more ideas on how to eat sardines check out this blog 12 ways to eat sardines. Now I know fruit is the breakfast of choice for you raw foodists out there and if you are someone that doesn’t usually eat breakfast then some fresh, organic and pesticide free fruit to wake up the digestive system isn’t a bad way to start a new habit. Do stick to low GI fruits, that release energy slowly such as apples, peaches, pears and blueberries. Papaya is also an option if your bowels need boosting into fifth gear as it contains the enzyme papain. However as fruit is so easily digested and if you suffer with dips in energy levels or sugar cravings you will find the lack of protein means you quickly start to feel hungry and you may succumb to the cookie jar or chocolate bar before noon. To avoid sliding on the slippery slope you should snack mid morning on seeds such as pumpkin, sunflower or shelled hemp and nuts such as almonds, brazil, hazelnuts or pistachios as these protein rich nibbles will keep hunger pangs at bay. Breakfast really is the most important meal of the day. It kick starts your digestive system to get your bowels going and ensures balanced energy levels through till lunch. You’ll start as you mean to go on, avoiding energy crashes, cravings and the pitfalls of coffee, cigarettes, sugary snacks, biscuits, cookies and red bull. While some of these gluten free breakfast ideas may seem a little foreign to you, give them a go and surprise yourself with how easy they are to prepare. So do indeed eat breakfast like a King or Queen that side steps the donuts, bagels and fry ups and start your day, the healthy way with a breakfast that’s delicious as well as super duper nutritious. I had stopped eating breakfast towards the end of high school and didn’t start regularly eating breakfast again until recently. I would rather drink something first thing in the morning instead of eating solid food. The green drink looks tasty to me. Hello Katharine…I have just started having terrible pain after I eat. It is usually after dinner. I eat only organic and local foods however something seems wrong. For instance this evening and by evening I mean 5pm I ate baked chicken thighs no skin, mashed potatoes and brussels sprouts. Afterwards I drank mint melange tea with a sprinkle of cinnamon, ginger root,star anise and cardamom and still got sick. My heart races I sweat and have pain mainly in my upper left abdomen and it radiates to my back. It does subside eventually and as.of right now I don’t have diarrhea but am passing gas and belching. When I wake up I have a very good bowel movement…and I mean good. Is it just a matter of process of elimination? Or just eat much slower and smaller portions? I also typically eat a salad for lunch with avocado,carrots, mushrooms, hemp seeds with herbs and coconut vinegar and olive oil. Maybe I should cut back a little on that or just maybe choose two salad ingredients or even possibly save the salads for summer?